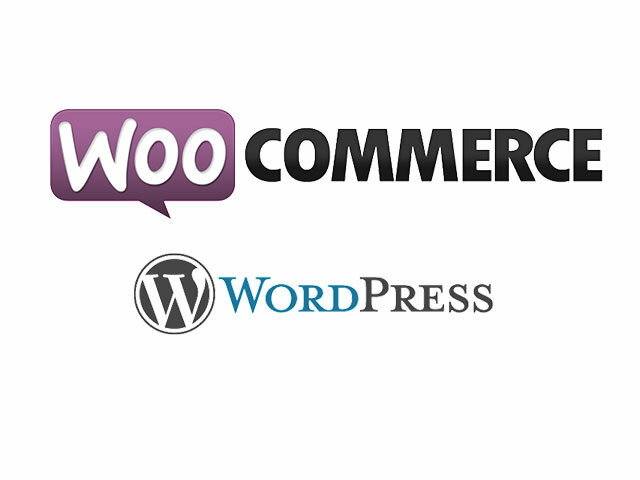 Best Free Fashion Store WooCommerce WordPress theme builds with Genesis Framework, shopping cart supported by WooCommerce 3.x, Responsive Layout, Easy to Customize! 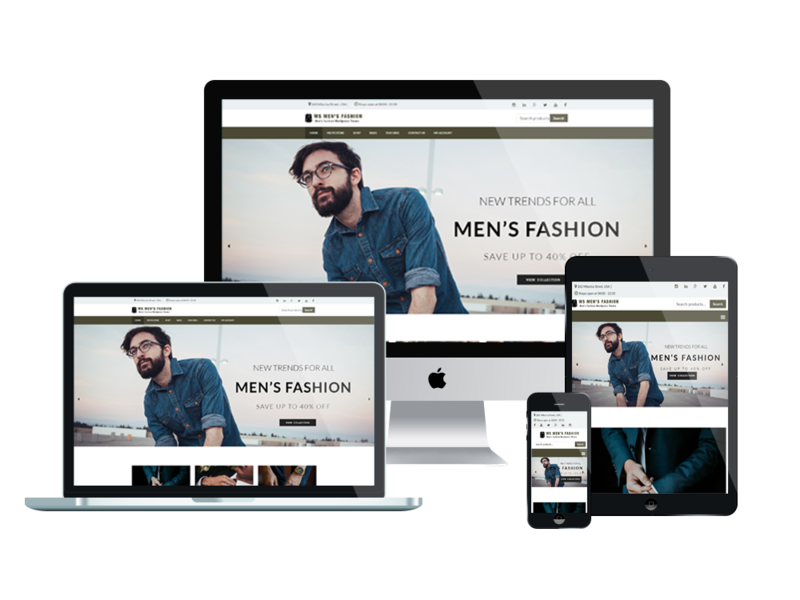 The Fashion Store WooCommerce WordPress theme can be used for fashion relating online stores, especially for men’s fashion. 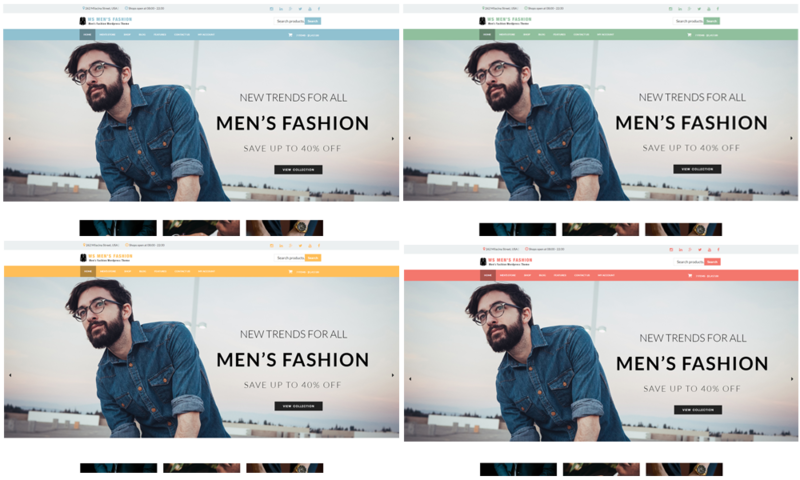 Homepage’s big slider with high quality photos helps you update quickly newest fashion trend. 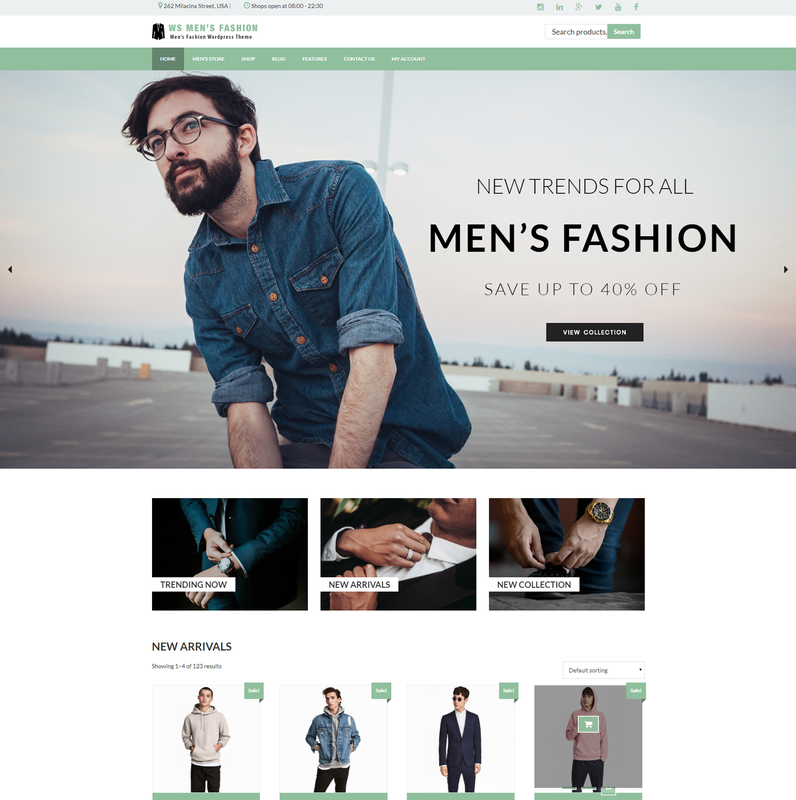 WS Men’s Fashion is a Free Fashion Store WooCommerce WordPress theme which has been recently renewal for giving online customer a better shopping experience in your site. Customers will find it convenient and easy when shopping on your site with buttons of Wishlist, Quick Look, Compare on each product/ service, search bar on top of the page is also supported to help them find the best suitable product in an eye’s blink. Pictures on site appear all the time in different style with eye catching way, which maximize sales. Besides, WS Men’s fashion supports Blogs section as well to update collection or blog about fashion trend to provide more knowledge to customers. To help you feel comfortable when creating website with our product, we offer support services like page builder and drag-drop layout content, unlimited color and a color picker in the admin panel. Establishing a great business is not now difficult, going with WS Men’s fashion now!